Pressed between the Caribbean Sea and the snow-capped Sierra Nevada mountain lies Santa Marta, South America’s oldest surviving city. 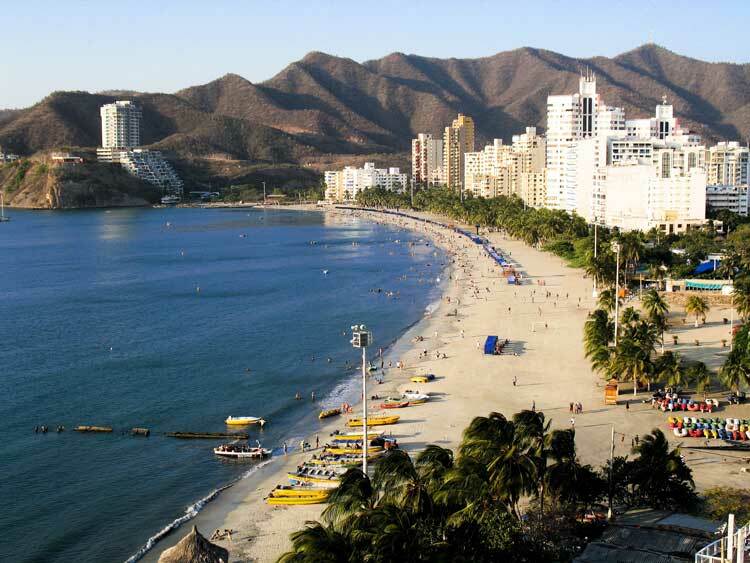 With a population of 500,000 residents, Santa Marta is half the size of the more well-known city of Cartagena. But don’t let size fool you. Santa Marta is quickly becoming a sought-after destination for both tourists and retirees. A few blocks between the beach and the historic district is Parque de los Novios (Lover’s Park), the heart of Santa Marta’s entertainment area. Restaurants, bars, coffee shops, and bakeries surround the plaza. The sounds of salsa, vallenato, and classic rock serenade you as you stroll along the cobblestone streets or stop to sit on one of the benches made just for two. Parque Tayrona, one of the most popular attractions in Colombia, is only 40 minutes north of Santa Marta. The unspoiled beaches and tropical forests in this National Nature park are world class. Boasting nearly 400 bird species and 60 species of mammals, the park is a nature-lover’s paradise. La Quinta de San Pedro Alejandrino, one of Colombia’s most treasured museums and historical landmarks, is the site where Simón Bolívar died in 1830. Known as The Liberator, Bolívar is the most revered historical figure in Colombia. If your definition of retirement means staying active, eating well, enjoying cultural events, and soaking up natural beauty, then Santa Marta will check all these boxes and more. Walking or riding your bicycle around the city’s flat streets is an easy and inexpensive way to keep active. Spending time in the area’s eco-parks is a fabulous way to appreciate the gorgeous scenery while exercising. Fresh seafood, caught right off the beaches, is a staple of coastal living. Buy it directly from the fishermen off the dock, or in any of the mercados (markets) and bring it home to whip up a quick, healthy meal. However, if you’d rather let someone else do all the work, you can dine out in any of the affordable restaurants throughout the city. Santa Marta has more than just beachside living. Some of the more popular cultural events are the International Theatre Festival held in September, the Sea Festival and beauty pageant held in July, and the Cumbia folklore dance presentations that happen all year long. Banks, pharmacies, grocery store chains, air-conditioned shopping malls, medical care, and beauty shops are scattered around the city and easy to get to either by walking or via public bus system or taxi. Expats wanting to be close to the ocean will choose to live in the northern or southern sectors of the El Rodedero neighborhood. Prices for both rentals and purchasing apartments are less expensive a block or two away from the beach. If you don’t mind a 15-minute ride to the beach, you might enjoy the quiet tree-lined neighborhood of Jardin. This area has stand-alone and semi-attached homes with small yards and gardens. Santa Marta is a haven for sun and sea worshippers. Daytime high temperatures often hit 90 F, but cool to about 75 F in the evening thanks to the lovely sea breezes. Also, Santa Marta is less humid than some of the other coastal cities in Colombia. This warm, tropical climate is perfect for enjoying sunny days at one of the many beaches. Scuba divers can spend hours exploring the coral reefs and sunken wrecks beneath the tranquil, clear water. Flying in and out of Santa Marta is easy. Simón Bolívar International Airport is only 10 miles from the center of the city. Although airlines don’t offer any direct flights from the U.S. to Santa Marta, there are many inexpensive flights from Colombia’s main hub cities Bogotá and Medellín that are under an hour. Santa Marta is home to South America’s only IGY (Island Global Yachting) destination marina. Whether you want to moor your own boat, rent one for the day, or just sit in the shade of an umbrella, sipping a cool drink, and admire other people’s boats, the marina is a great attraction. Life in Santa Marta is casual and laidback. T-shirts, shorts, sundresses, and sandals are all you need for everyday attire. 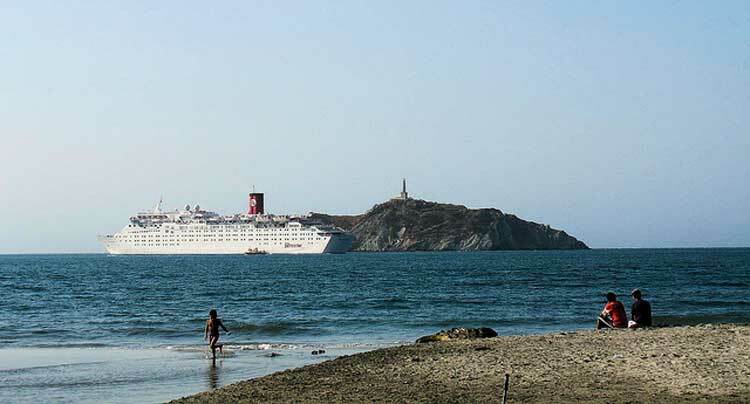 Like most coastal communities, Santa Marta has only two seasons. It is driest from December through April. Wet season runs from May until November. Locals carry an umbrella all year-round so that they are prepared for either rain or intense sun. 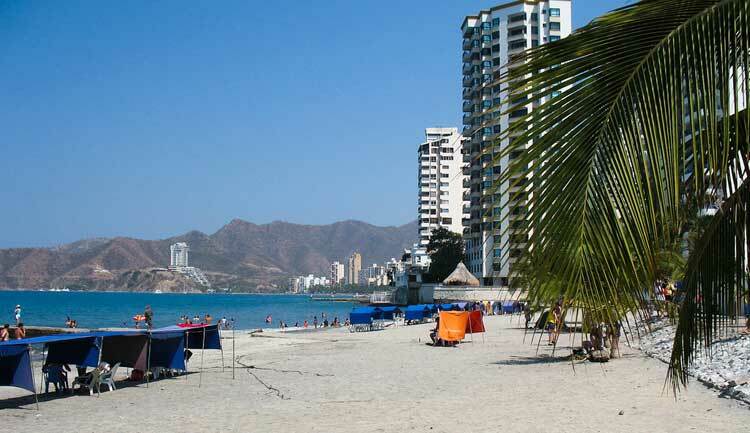 In Santa Marta you can tailor your lifestyle to your budget. You can choose to live in a high-rise apartment on the beach, or a small inland bungalow; indulge your home cooking skills, or dine out several times a week; shop in upscale malls or buy your clothes in local tiendas (shops). In general, the cost of living in Santa Marta is about 73% lower than the U.S. coastal cities of Miami or Fort Lauderdale. If you are coming from a cold weather location, Santa Marta’s average cost of living is about 80% less than in Boston or Chicago.